Welcome to this page that addresses all music lovers, vocalists looking for their own pieces, and creators of commercials, movies or various other artistic materials that require sound musical backgrounds appropriate to those creations! If you've just come to this site by chance, I invite you to go to the Link to songs where, if you're curious, you can listen all of my musical works. 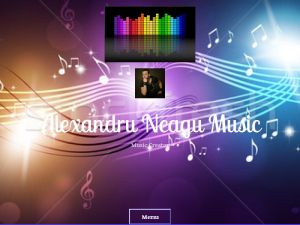 This what your Muzicalex Blog Ad will look like to visitors! Of course you will want to use keywords and ad targeting to get the most out of your ad campaign! So purchase an ad space today before there all gone! If you are the owner of Muzicalex, or someone who enjoys this blog why not upgrade it to a Featured Listing or Permanent Listing?